서울은 도시의 중심을 흐르는 천혜의 자연자원인 한강의 잠재력을 충분히 활용하지 못하였으며 한강은 강남과 강북을 단절하는 요인으로까지 인식되고 있다. 서울시는 서울 르네상스의 일환으로 도심과 5개 부도심을 중심으로 한 중심지체계를, 한강을 중심으로 기존 중심지들을 강화하고 한강변 6개 핵심지구를 연계하는 ‘한강르네상스’를 계획하였다. 주요 내용으로 용산과 여의도를 중심으로 한 국제업무 및 문화 거점의 중심권역(Urban Core Zone), 환경과 역사의 재생을 통한 친환경 거점의 강서대권역(River West Zone), 어뮤즈먼트와 스포츠, 역사체험 거점의 강동대권역(River East Zone) 등 3대 권역을 중심으로 한 다양한 발전계획이 추진 중에 있다. 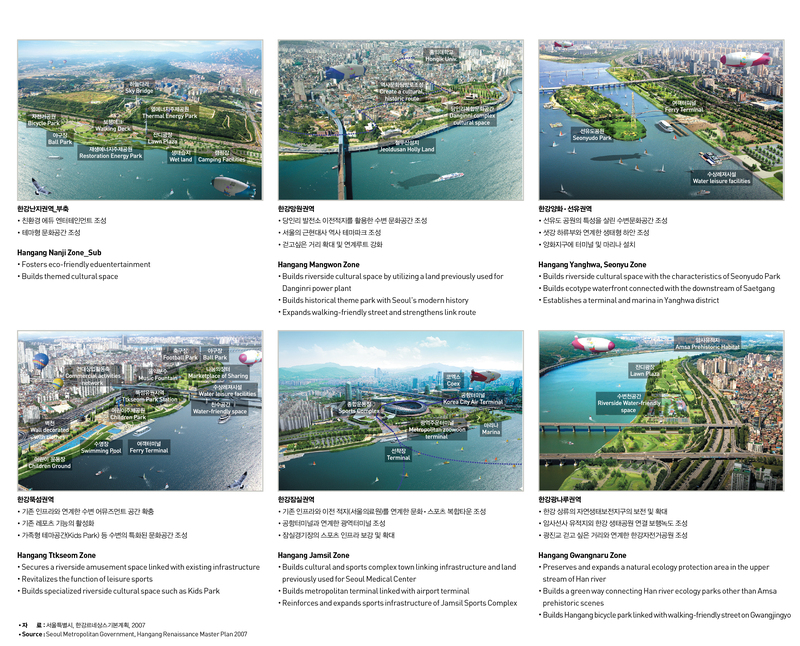 Seoul has not fully utilized the potential of Hangang, a valuable natural resource that penetrates Seoul's heart. Hangang is even recognized as a factor contributing to separating the south and north of Hangang. 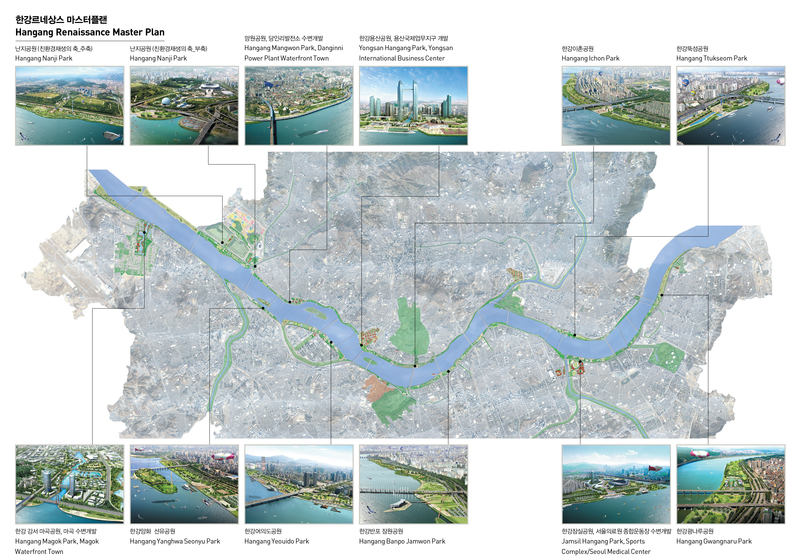 As a part of urban renaissance master plan, Seoul Metropolitan Government planned a system that centers on downtown and 5 sub-centers as well as 'Hangang Renaissance' that strengthens existing centers and links 6 core districts around Hangang. 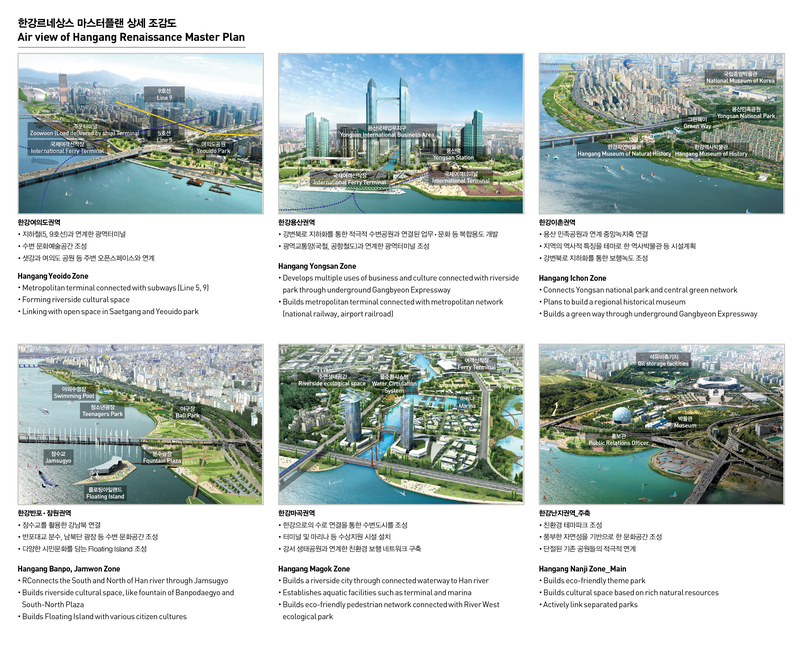 Seoul has pushed ahead with various plans focused on 3 zones in an effort to develop Hangang. 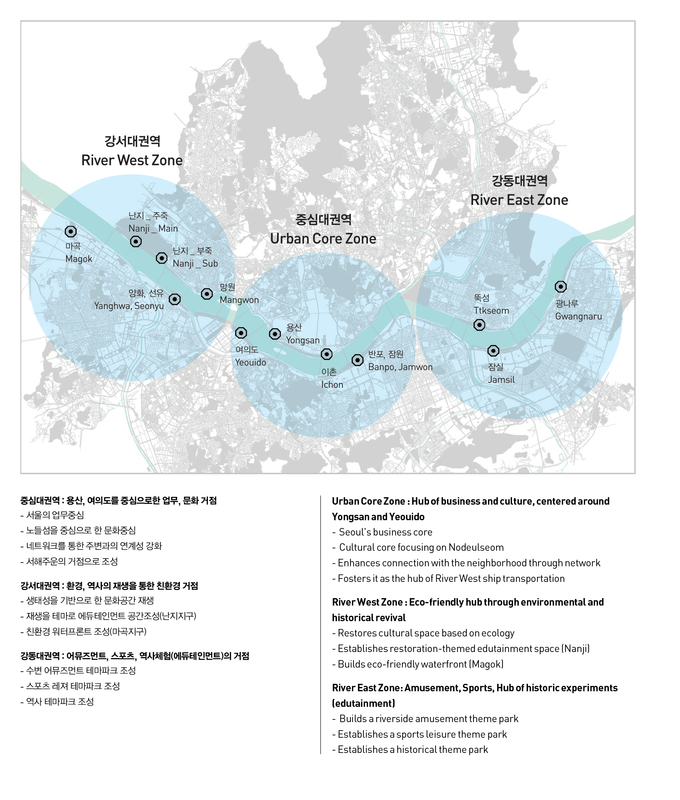 The zones include urban core zone of international business and culture, mainly Yongsan and Yeouido, river west zone of eco-friendliness through revival of environment and history, and river east zone of amusement, sports and historic experiments.